Oh Spring, when will you stay? Why must you play games with us? We had some lovely weather just before Easter weekend and then it snowed! But I was ready for the weather change – I was armed with a spring scarf. 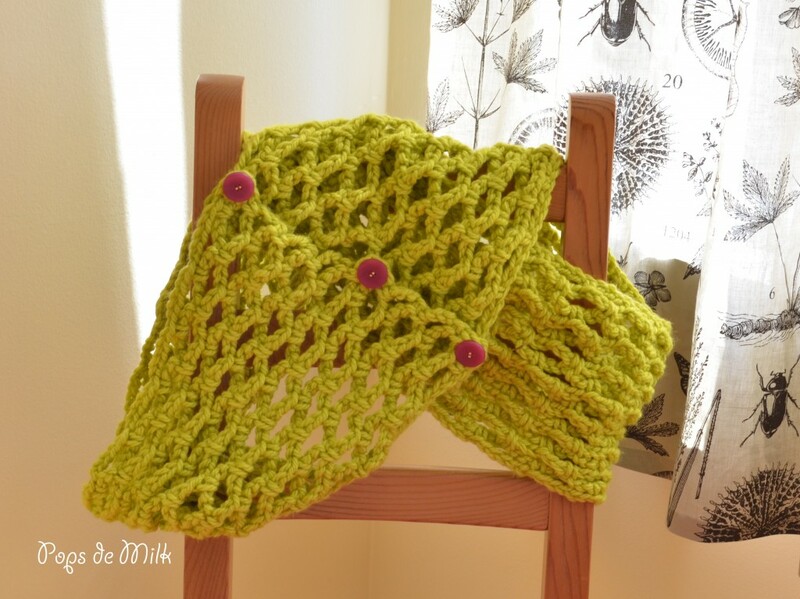 Months ago I bought this bright green yarn with the idea of crocheting a spring cowl – the colour is just so fresh and vibrant. I thought I had missed my chance as the weather warmed up but “luckily” I’ve been given a second chance. 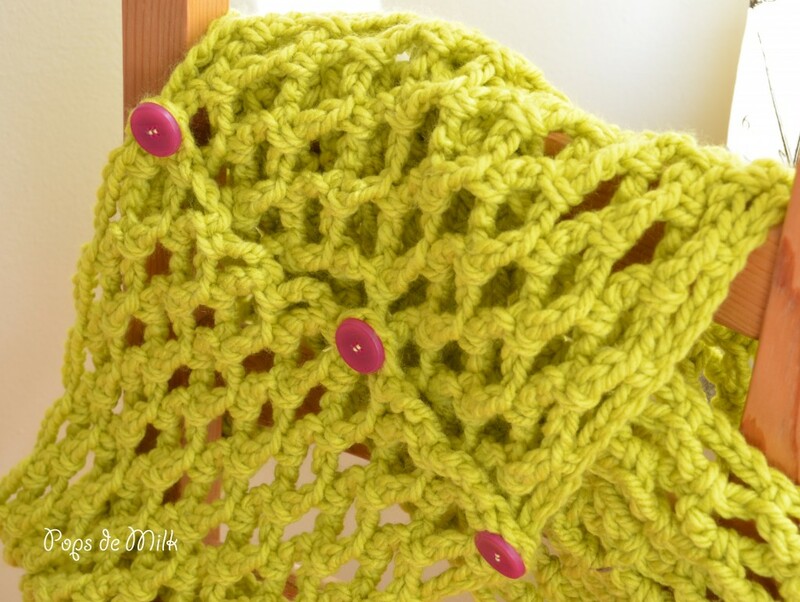 Last week I showed you a very simple stitch called the Trellis Stitch and now I’ll show you how I used it to make this scarf. 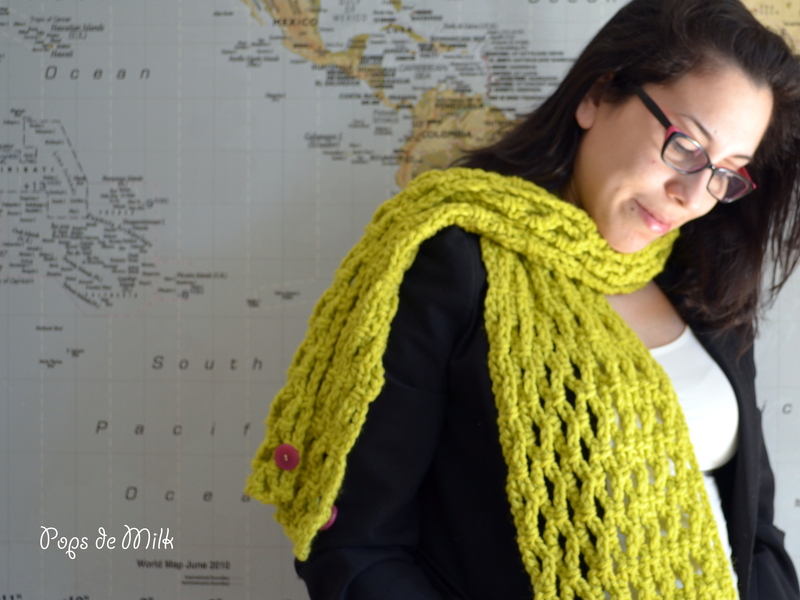 The scarf is worked in rows using a thick yarn that works up quickly. *Update* You can now purchase the PDF version in my shop. Row 1: ch 134, sc in 6th ch from hook, [ch 5, skip 3 ch, sc in next ch] repeat to end, turn. Row 2: [ch 5, sc in next ch 5 space] repeat to end, turn. Repeat until you almost run out of yarn, about 14-15 rows. Fasten off and weave ends. 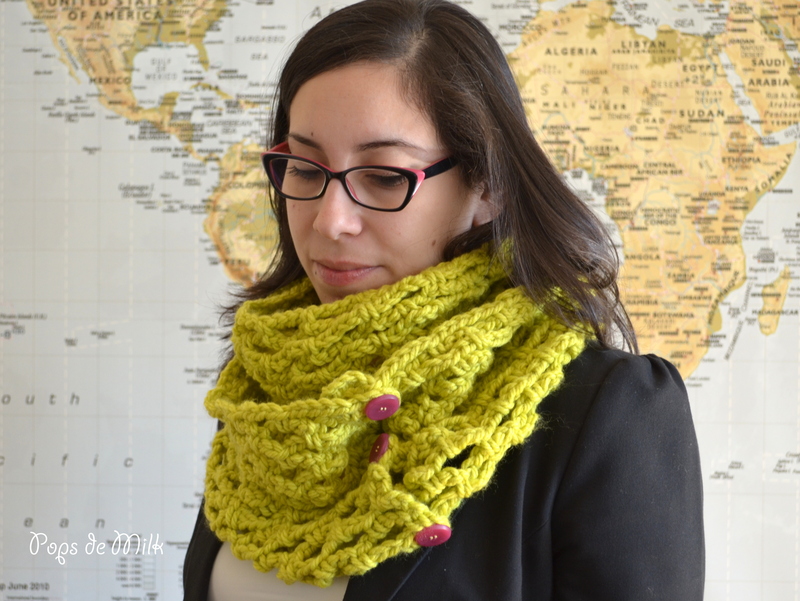 Sew buttons to one end of the scarf. If you find that the buttons are too small or the holes in the scarf are too large you can close the gap with a few stitches. 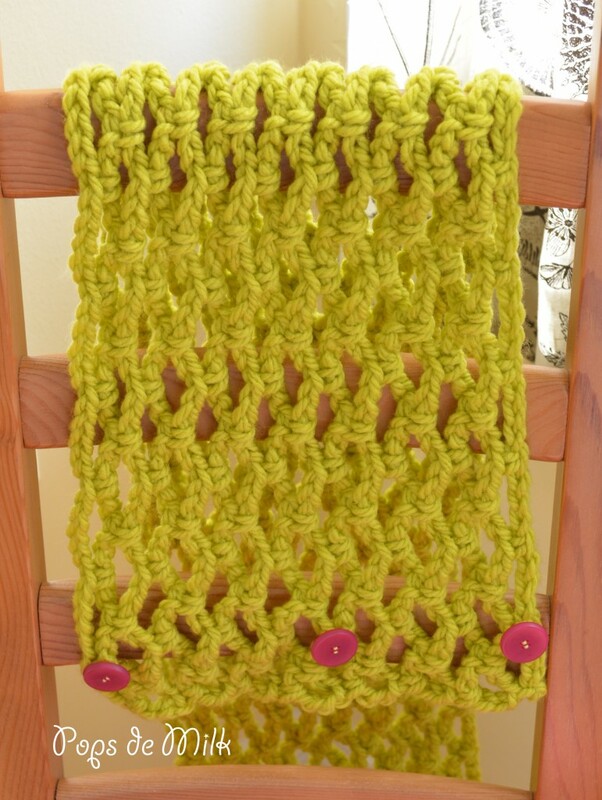 Alternatively you can sew the scarf ends together.